There are certain sounds – blood curdling sounds – that should only ever be heard on the soundtrack of a horror movie. Certainly never from a tripod. But, after two weeks in the majestic sand dunes of the Namib desert, I’ve managed to turn the silky smooth, whisper-quiet operation of the leg locks on my Gitzo into an unholy grinding noise that make me wince every time I even think about using the tripod. Now, I am a firm believer in the “Don’t buy it if you’re afraid to use it” philosophy. A tripod is a tool and if the means it gets soaked in the salty waters of the Greenland Sea, covered in Pele’s Hair from a volcano or sand from the Namib desert, well so be it. But there is a price to pay and, as any photographer will tell you, a good tripod is not a casual purchase. So, faced with the choice of ruining an excellent tripod, or not using it at all, it’s time to clean the tripod! Now ordinarily I wouldn’t have bothered writing an article about this but a recent conversation on Facebook suggested that some may be apprehensive about pulling apart their beloved and costly tripod for fear of breaking it. As not maintaining a tripod will have worse consequences my hope is that this article will provide some reassurance that it is a fairly simple process. Of course, if you have any doubts then it would be best to seek a professional: Or, in other words, I’m not responsible it you break it. Whilst this seems like a basic way to secure the leg section, I presume that is also its benefit; it is very easy to replace parts when needed, and very easy to do this on location. The idea is to gently pull this section away from the metal and ever so slightly down which will have the effect of taking the plastic (which has a groove) off the metal (which has a lip). Once the first section is off the lip, slowly work backwards along the plastic, easing it inwards and downwards. 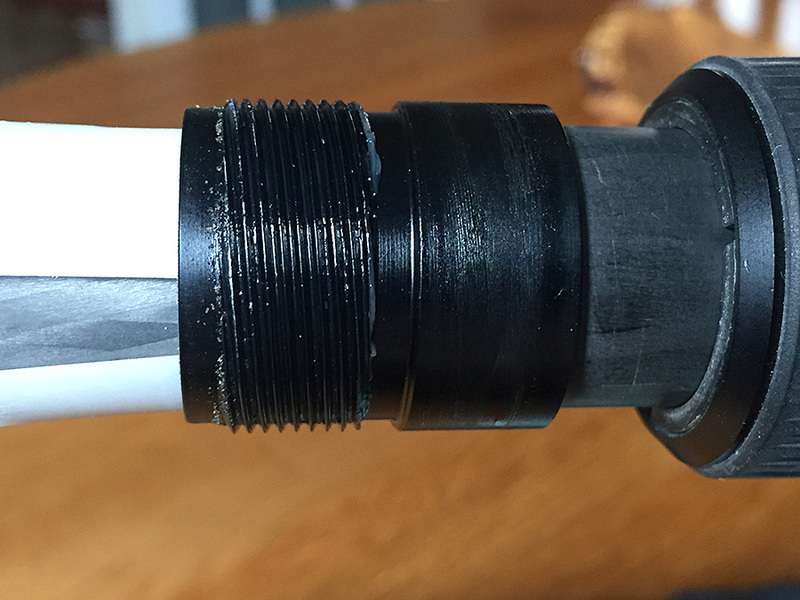 Eventually the plastic will drop off the metal nut completely and expose its threaded section. You’ll eventually end up with the tripod disassembled and ready for the cleaning. You may want to take the top leg sections off the spider (i.e., the top plate) but unless you’ve seriously abused the tripod it likely won’t be necessary. Originally I followed the advice gleaned from a number of guides and ‘how-to’ documents on the Internet, where the general advice was to use isopropanol alcohol or WD-40. Neither worked really well and a ‘test twisting’ of a locking nut on a leg section still made horrid crunching noises. 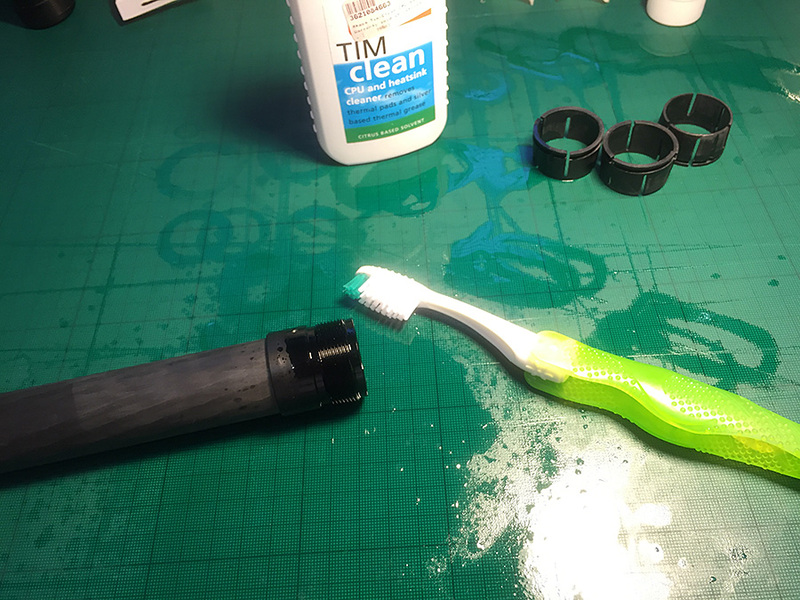 So now I use citrus degreaser which has several domestic applications including cleaning bike chains and gear systems and cleaning thermally conductive paste off computer CPUs. Citrus degreaser is awesome stuff, and makes cleaning the old grease and gunk off the legs very easy. All you need is a few drops on the thread, gently spread it around (don’t scrub) with the toothbrush so that it gets in the nooks and crannies and leave for a couple of minutes. Repeat the process with the locking nuts. After a couple of minutes – it doesn’t need more than that – remove the degreaser and gunk with warm water mixed with some household dishwashing detergent. Again I use the toothbrush – this time gently scrubbing – to get right into the grooves on both the leg sections and locking nuts. Once thoroughly cleaned I give it a thorough wash under a shower head although a kitchen tap would be just as good. Then, with all nice and clean, it is time to leave in the air to dry. Reassembly is simply a case of reversing the disassembly process. 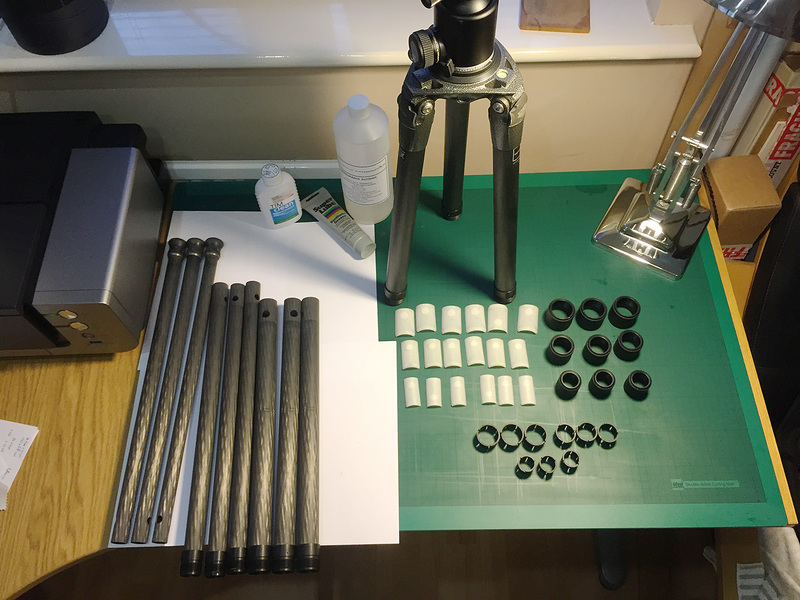 I’m trying an experiment and using a different type of grease on one leg – Super Lube Synthetic Grease – and the normal Gitzo tripod grease on the others, simply as Super Lube is a lot cheaper. 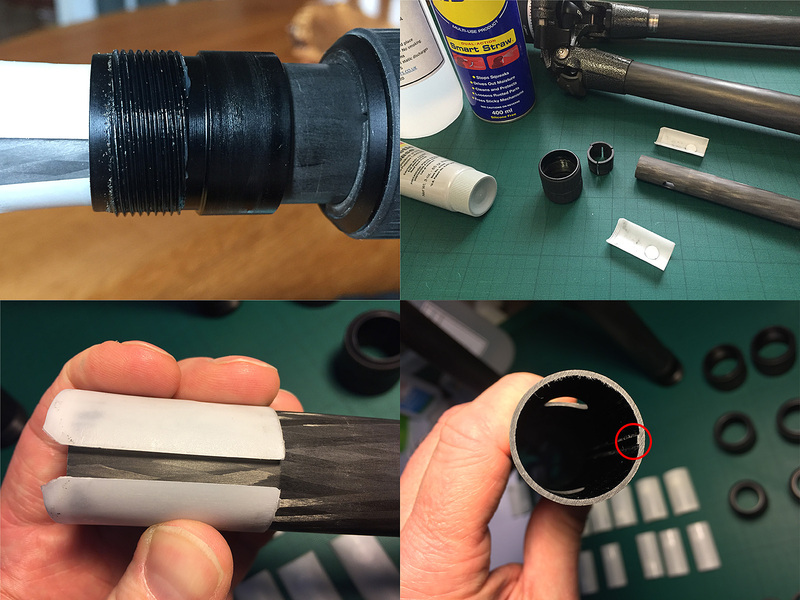 If you’re only cleaning your tripod once a year then it is probably not worth using anything other than the Gitzo grease, but if your tripod is likely to see repeated abuse in the field then a cheaper option is handy, as long as it works just as well. Only time will tell whether Super Lube is a viable option. 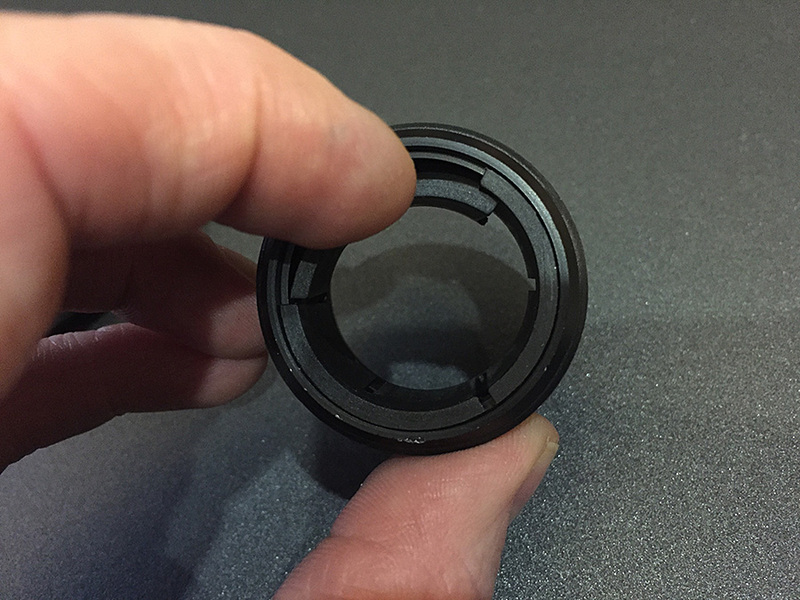 When reassembling the tripod it is important to get the gap between the shims lined up with the raised channel in the parent leg; if you meet a lot of resistance upon reassembly, double check the plastic shims are correctly seated on the leg section and that the gap lines up with the raised channel. The other thing is to not overdo the amount of grease used. 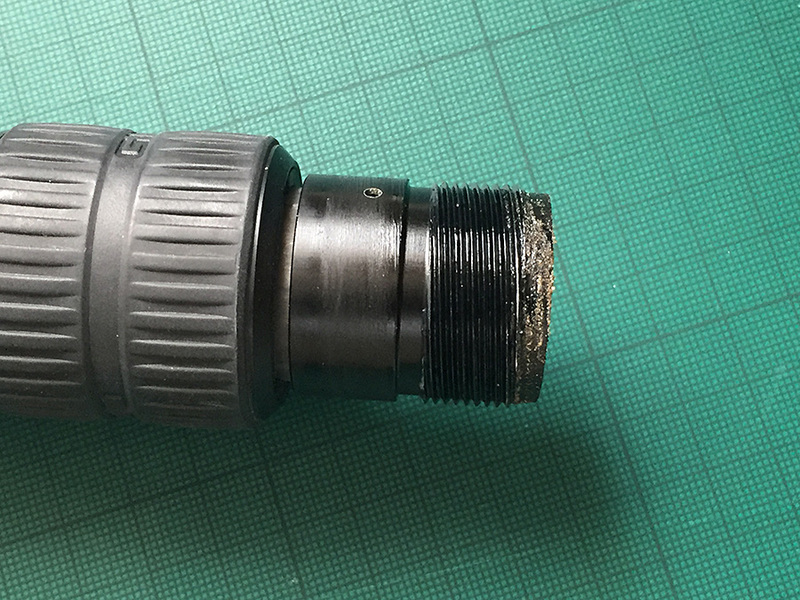 You only need to cover the threaded section – any more than that and you’ll risk having grease leaking out of the locking nut and acting as a magnet for any dust and grit in the air, and if you were heading back out in the desert with grease on leaking out that would be a quick way to cause problems. Also, I find it easier to put the locking nut on the leg, put the anti-rotation shims in place and slide it all into the parent leg section before applying the grease. 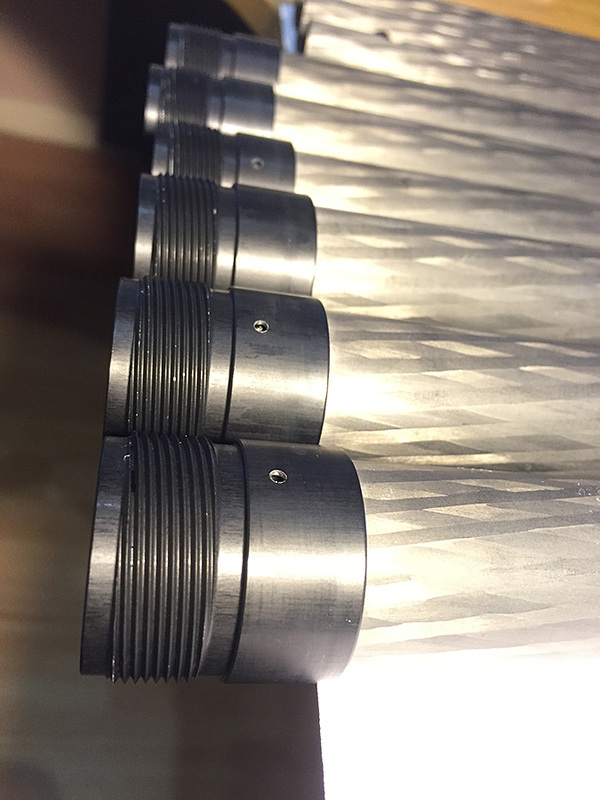 Once you’ve evenly spread the grease over the thread you can screw the locking nut back on and then tighten and untighten it a dozen times to spread the grease around on the leg and the locking nut itself. 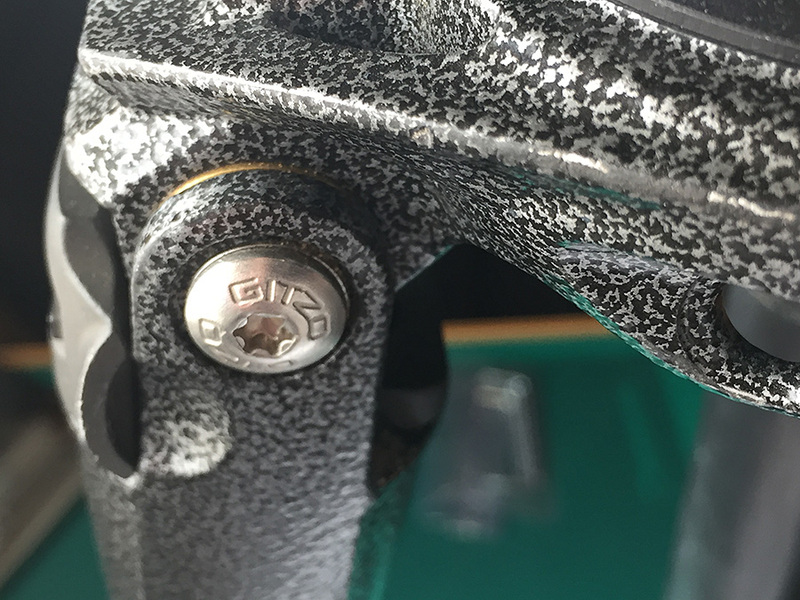 Note, you don’t have to completely undo the locking nut, just a couple of turns back and forth. If things are really bad, you may need to take the top leg sections off the spider, but usually this is not necessary – only if the tripod had fallen in the sea and become completely submerged for example. Even sand storms won’t penetrate into the upper mechanism. That said, sand, salt and grit do accumulate on the outside of the legs but brushing this off with a firm bristle paint brush should be sufficient. 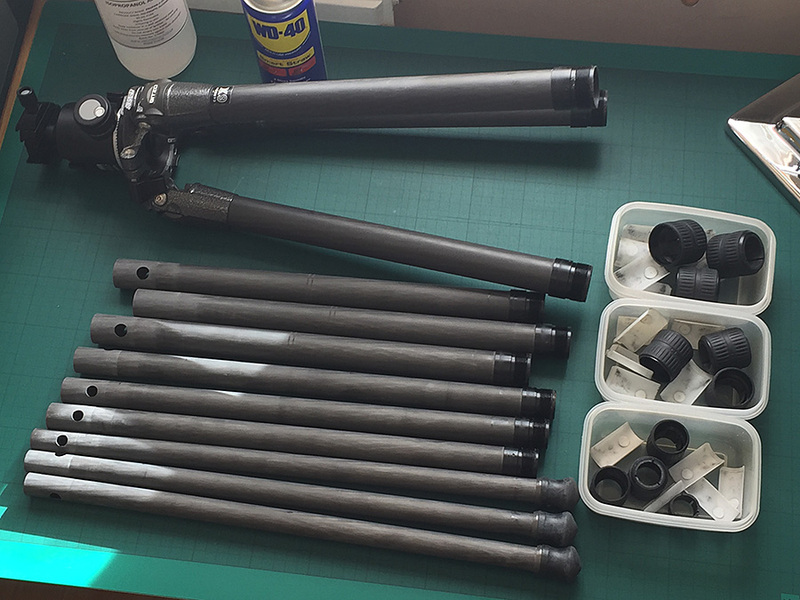 Hopefully this article shows how easy it can be to strip down, clean and reassemble your tripod. Other tripods have different mechanisms – my Feisol for example doesn’t have an anti rotation mechanism and so no channel in the leg section to worry about and the shims are in three sections – but in essence a tripod is a blissfully simple part of the photographer’s arsenal. And whilst maintenance can be a pain it is even more painful when you’re trying to take a long exposure on a tripod with leg wobble due to a worn leg lock. It may be the difference between a usable and unusable shot.